If you’re looking for unique places to visit on your Australian Family Holiday, Coober Pedy is a unique place well worth the visit. Heading into Coober Pedy for the first time is a surreal experience, at least it was for us. From small heaps to giant mounds of dry earth piled everywhere through town and along the horizon, it appeared to me to be very much like a moonscape. When we reached this remote town, we didn’t wast any time, and decided to see what all the fuss was about and learn about Opal Mining in the region. As our children were aged 5 and younger when we visited Coober Pedy, this limited our ability to undertake working mine tours, or made some other tours on offer a little bit of a struggle to undertake, and I’m glad in a way because it was that inability to go on some tours we stumbled across that led us to Old Timers Mine. 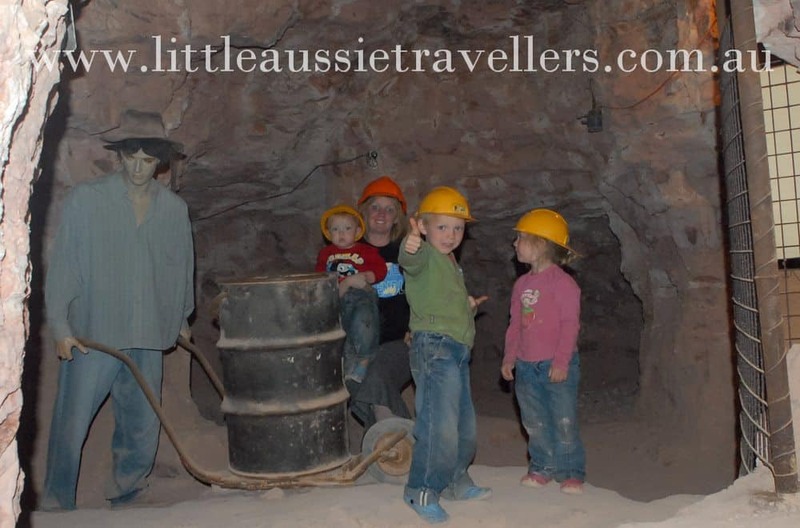 Old Timers Mine is a great attraction in Coober Pedy that allows family members of all ages to experience what was once a working opal mine. The great thing about Old Timers Mine is that it takes you through the history of the mine and the region and offers a whole lot more than just a walk underground. As a museum and historical mine, you’ll experience a blend of education and awe that are unique to this attraction. Large seams of real opal are preserved for tourists to see. Old Timers Mine gives your family the chance to step back in time and discover what life was like for opal miners in the coober pedy region. You get a glimpse into the painstaking hard work required to establish a mine, the cramped spaces and discover with much excitement the glorious feeling of spotting that “glimmer” in the mine walls as you see real opal seems right before your very eyes. You’ll be supplied with your very own hard hat at the start of the tour, which is self guided meaning you can take as much or little time as you like to discover all the underground museum has to offer. We would suggest allowing yourself plenty of time to explore, ready, experience. Be sure to take a look up all the mine shafts, there are some exciting surprises. There are plenty of “miners working” in the mine, they are lifesize figures which give a real insight into life underground. You’ll see an entire underground life open up before your eyes, with furnished homes, post office and more. Where is Old Timers Mine Coober Pedy? 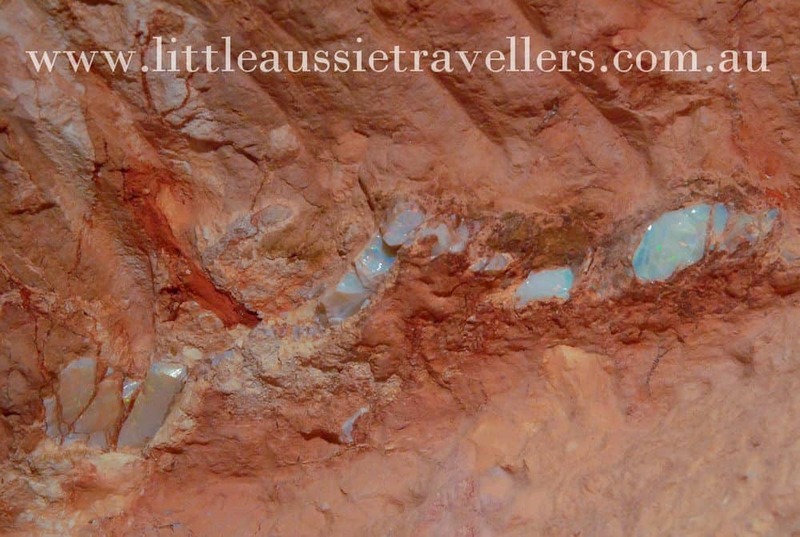 Coober Pedy is situated in the Flinders Ranges approximately 850kms from Adelaide. Crowders Gully Road, Coober Pedy SA, 5273. Want to see some more? We’ve tracked down this Old Timers Mine Video… Enjoy! GREAT REVIEW!! Coober Pedy is one of my favorite places in Australia! I was just telling someone this week about the hardhats and just how many times I whacked mine on the roof! !